Our club today is home to many styles of shooting. We have Bullseye shoots, air gunners, Sporter Rifle shooters and defensive two handed shooters. It is our vision and mission to provide our membership the opportunity to improve their marksmanship and gun handling skills. We do this through the sponsorship of league activities, scheduled training events and opportunities for the membership to try different styles and calibers of guns to assist in a membership’s decision of their next purchase. 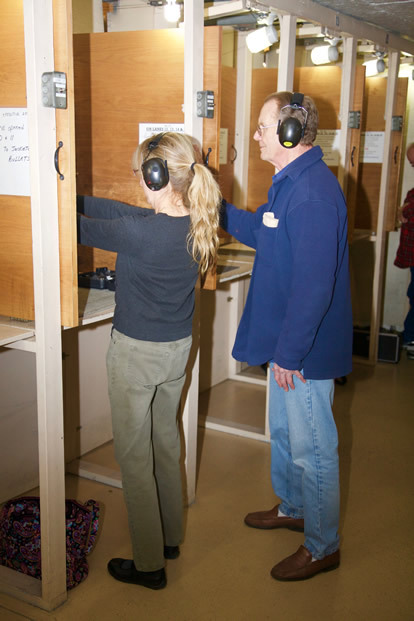 Our club has the largest indoor range in the area with 15 lanes and a target retrieval system that allows the shooter to stay behind the firing line at all times ensuring safety for all shooters. All of the membership manages the club. Each member has the privilege to come, shoot and go at any time there is not a scheduled event going on. It is the responsibility of each member to ensure the club rules are being followed at all times. The Club is governed by club officers and trustees. If you are interested in the management of the club or interested in participating in one of the leadrship roles, please contact any officer for additional information. © Binghamton Rifle Club 2016 All right reserved.